Why it matters: 5G is going to revolutionize mobile connectivity in ways that haven't even been conceived yet and the fact that Qualcomm was able to clear a substantial hurdle this early in the game ensures its impact will be even more dramatic than anticipated. Qualcomm on Monday advanced the mobile 5G initiative in a big way with the unveiling of the QTM052 mmWave antenna and the QPM56xx sub-6 GHz RF module families, the world’s first fully-integrated 5G NR millimeter wave (mmWave) and sub-6 GHz RF modules for smartphones and other mobile devices. Together with Qualcomm’s Snapdragon X50 5G modem, the hardware makes mobile mmWave technology viable in a smartphone form factor where real estate is at a premium. It also helps overcome some of the inherent limitations of mmWave technology. Cristiano Amon, president of Qualcomm Incorporated, said their early investment in 5G has allowed them to deliver to the industry a working mobile mmWave solution that was previously thought unattainable. With the advancements, he added, mobile 5G networks and devices – especially smartphones – are ready for large-scale commercialization. The mmWave portion of the spectrum is incredibly fast but transmits at a much shorter range and is far more easily blocked by obstacles such as walls or even a user’s hands holding a device. This was seen as a major barrier to the technology’s adoption in mobile devices but Qualcomm’s solution circumvents it by using up to four of the QTM052 modules in a single smartphone, ensuring that no matter how you hold your phone, it should still be able to get signal. Qualcomm notes that mmWave is best suited for coverage in dense urban areas and crowded indoor environments, adding that broad 5G NR coverage will be achieved in sub-6 GHz spectrum bands. 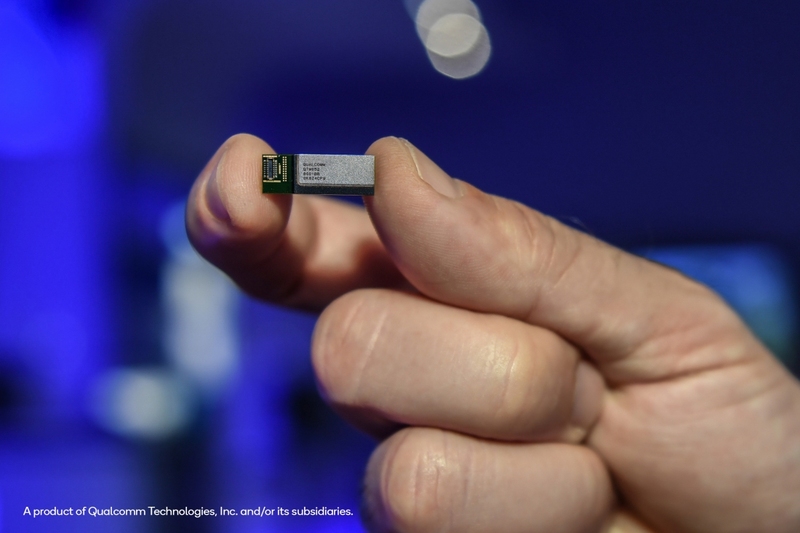 Qualcomm is now sampling the QTM052 mmWave antenna module family and the QPM56xx sub-6 GHz RF module family with customers and anticipates devices launching with the hardware as early as the first half of 2019.